The adventurous and spontaneous Natasha Case loves to push boundaries. 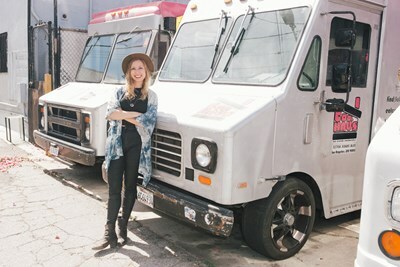 So it shouldn't be surprising that she united two of her seemingly separate loves (food and architecture) into a successful business venture: Coolhaus. 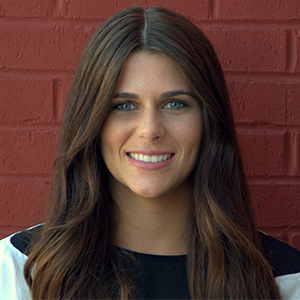 Natasha Case took her love of food and her passion for architecture to create a one-of-a-kind business and career. Her ice cream company, Coolhaus, is now an innovative brand that’s grown to the international market within just a few years. She took some time to share with Alot what she’s learned from her career with Disney Imagineering and becoming the CEO of her own growing company. Was architecture what you dreamed of doing when you were growing up? NC: My dad is an architect, and my mom is an animator—and I always thought they had awesome jobs but wanted to do something different. I ended up being an architect at Disney—so a combination of them, essentially. But not long after, I started Coolhaus, and now I consider myself a "farchitect" (food architect). How did you get the idea to combine ice cream with architecture? NC: While studying Architecture and Design at UC Berkeley, I thought of a concept called "Farchitecture" to combine my love of food and baking with my love of well-crafted architecture. I began thinking up whimsical flavor combinations and used those ideas to create sweet treats I named after architects and architectural movements that inspire me. I thought that by marrying design with something everyone loves—ice cream sandwiches—I could make architecture more accessible to the public. We can’t ignore the mouse in the room. What exactly was your job with Walt Disney Imagineering? TELL US EVERYTHING! NC: I worked in hotel master planning—working on everything from Disneyland Shanghai to the Donald Duck suite at Tokyo Disneyland. How did your career there benefit you in launching Coolhaus? NC: Aside from the obvious architectural training, Disney is the master of visual storytelling—very important for brands these days more than ever. Coolhaus has grown from a food truck into an international company. Were there difficulties with the growing pains and bringing on a full team? Was it difficult to relinquish control? NC: Yes, growing a business, being an entrepreneur—it’s an incredible experience, but it’s also incredibly hard work. Learning to manage people, learning who you are as a leader and manager—it takes time to develop that craft. And of course, money and financing are always challenging. You must stay on top of things, hold yourself and your team accountable, and build a system of checks, balances, and transparency. What was it like to expand Coolhaus into the international market? What were the challenges you faced, and how did you overcome them? NC: We overcame the challenges of scaling at an international level by having an awesome partner like the California Milk Advisory Board who created much more of a plug-and-play infrastructure for us: distribution, a sales team that understands retail in Asia and the Middle East, which trade shows to attend out there, etc. Do you have a specific strategy for social media? NC: Being clear and communicating as much as possible about the uniqueness of our story, brand, and flavors. Also, being fun, intelligent, and clever—not taking ourselves too seriously.